Sourced from the Sabotage release 'Sign O' The Times Rehearsal Sessions 2.0' this is another great reworking of a much-respected and well-loved bootleg. As has been pointed out in the past the Sabotage release (and every other one before it) of the rehearsals suffered due to the pitch being incorrect (amongst other thing). The 2nd April rehearsal in particular ran at an audibly slow speed and was glaringly obvious. As one would expect, this has been corrected here and the rehearsal sounds like it should. A few edits/cuts/flaws appear to have also been smoothed over and a fair amount of hiss has been reduced. Credit should be paid for the amount of hiss they have removed from the Birmingham rehearsal alone as it's far clearer, cleaner and fresher. 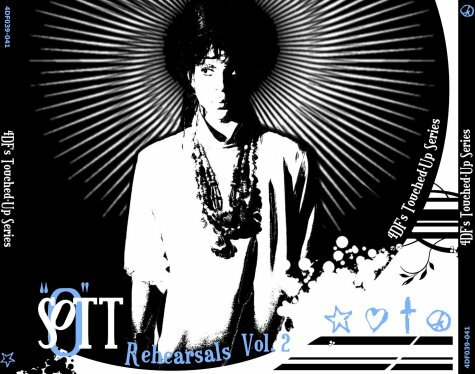 For me, the rehearsals contained in this volume are nowhere near as inspired as the content of Volume 1, and whilst there are rarities such as 'La, La, La, He, He, Hee' and 'U Got The Look', the rehearsals themselves are also lacking slightly. Taking place a matter of weeks before the Sign O' The Times tour began, it's to be expected that both are very representative of the tour itself. I've already covered the content in my comments on the Sabotage release, so shan't repeat myself - suffice to say this is another excellent release by 4DaFunk with major attention to detail and a vast improvement over any previous version of these rehearsals. Vol. 1 can be found HERE.